Welcome to iPad Poker Apps, your daily source of information concerning real money poker apps for Apple’s tablets! Launched in early 2013, our website strives to provide you with the latest news from the world of online gambling. We put a lot of emphasis on the latest technologies and innovative features, but if you’re interested in bonuses or banking information don’t worry – we’ve got that covered too. Aside from the news and interesting blog posts, we’ve got top lists for poker calculators and tutorial apps, as well as in-depth instructional videos, which have been designed with players of all skill levels in mind. Furthermore, our Frequently Asked Questions section is an excellent resource if you’re looking for general information on iPad online poker. However, if you believe that we’ve missed something important, please do not hesitate to let us know so that we can keep our FAQ as relevant and up to date as possible. We put a lot of effort into ensuring that our reviews always arrive on time, allowing you to get the hottest coverage of every major release from all the reliable poker networks. 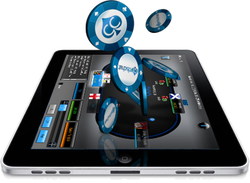 Our reviewers pride themselves in being able to provide you with unbiased opinions on key features of iPad poker applications, which include table mode functionality, unique features of the user interface, bonuses and promotions, as well as traffic and competition. This kind of no-nonsense approach allows you to save time and make informed decisions without having to dig through countless pages filled with useless data – and since we’ve been on the mobile gambling scene when the recent iPad poker boom started, you can rest assured that we know what we’re doing and that we won’t miss any new developments that might have the potential to change the face of the entire industry. We care about and respect our readers, which means that we’ll never intentionally feed you false information. We promote honest business practices, which means that we put a lot of emphasis on directing you to mobile apps that are not only fun and engaging, but also 100% safe. Consequently, you can rest assured that all the poker sites we mention here are completely reliable and won’t delay your cash outs or refuse to pay you the bonus money. Finally, we’re well aware of the differences between the American mobile poker market and the European poker industry, which allows us to assist you in determining which particular iPad poker package will be best suited for your personal needs regardless of the country that you come from. Our mission is to ensure that you’ll get the best promotions and the best software available anywhere on the web these days. We enjoy playing real money online poker on our iPads and we understand how amazing this kind of gaming experience can get. As a result, we’re also well aware of the limitations of the platform and the current trends. Consequently, we’re capable of putting every new development into perspective and providing you with a realistic assessment of the effect each application might have on the industry or the overall traffic on its mother network. Even though playing real money poker on your iPad is different from using a desktop computer, we are dedicated to finding the best multi-tabling and tournament poker apps in order to help you get acquainted with the full range of poker games available for Apple’s tablets. We are well aware of the fact that mobile poker software developers are working hard to develop the ultimate iPad poker client and we’re here to let you know as soon as they succeed.